DTM: Let's kill the genres thing. Are you okay with every single article saying they are an "80's synth band influenced by all the great…why didn't they name themselves Chvrches League! That's not where this came from in it's heart and soul right? 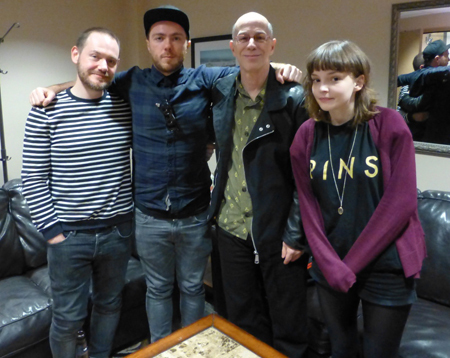 Chvrches: You are absolutely right. There's elements in the kind of technology we use and we deliberately from that era. I feel like we use them in a modern way. The vocal lines we do are geared towards that. I would hate for us to be remembered and considered a retro band. The songwriting is at the forefront at what we do. It doesn't matter how you dress up. A Good song is a good song.